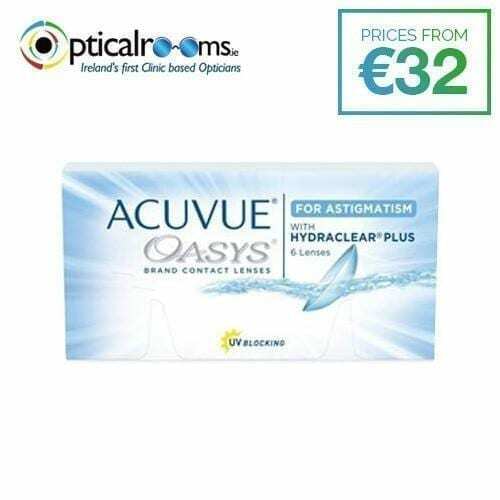 Get exceptionally comfortable, consistently clear vision with Acuvue Oasys Brand Contact Lenses for Astigmatism. Accelerated Stabilisation Design – This unique lens design helps minimize shifting and helps keep vision crisp, clear, and stable all day long—even for people with an active lifestyle. All-Day Comfort – HYDRACLEAR PLUS Technology makes contacts ultra-smooth and more wettable. That means more comfort and less dryness, even in tough surroundings. Superior UV Protection – Acuvue Oasys Brand Family provides the highest level of UV1 blocking available in a contact lens. Acuvue Oasys for Astigmatism are ultra-smooth lenses for astigmatism. They combine two proven technologies – Accelerated Stabilisation Design (ASD) for clear, stable vision with a no-lens feeling and Hydraclear Plus, providing all day comfort. 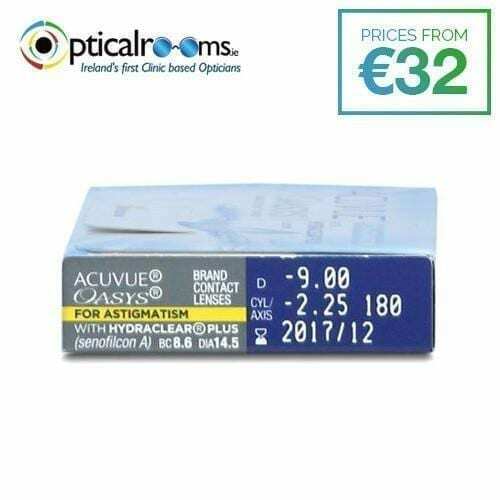 They also contain the highest class of UV-blocking available in a toric contact lens. Hydraclear technology permanently embeds a higher volume of moisture-rich wetting agent, resulting in a more wettable contact lens for all-day comfort – even in challenging environments and also makes contact lenses ultra-smooth so every blink feels almost like you’re not wearing contacts at all.